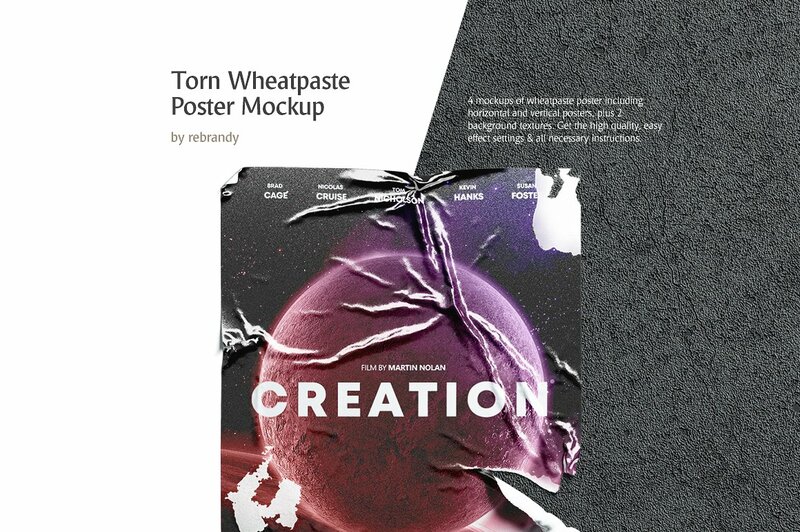 This bundle contains four mockups with horizontal, vertical, torn and crumpled wheatpaste poster, and two unique textures background. The wheatpaste poster is carefully modeled, crumpled and then ripped to show your movie poster, affiche or event poster in realistic look. Convenient effect settings to apply glossy or matte paper for your poster.